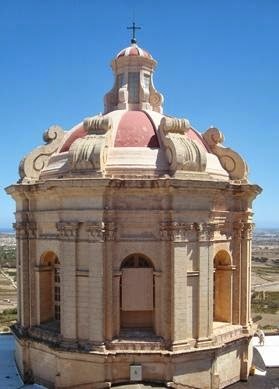 Times of Malta 09/03/2014: As the Knights of St John managed to make Malta a safer place to live in during the later 17th and 18th centuries, church domes grew larger and became increasingly popular. They were transformed into important symbols of civic pride dominating the skyline of Maltese towns and villages. In conformity with St Carlo Borromeo’s guidelines of the Council of Trent, they introduced light and a sense of spaciousness into the sacred buildings themselves and have come to be recognised as one of the most characteristic architectural features of the Maltese landscape. Kenneth Cauchi, an MA graduate in Baroque Studies, recently gave an interesting lecture on Maltese church domes in the Baroque age. The lecture, held at the Birkirkara parish centre, was part of the outreach programme of the International Institute for...read on.